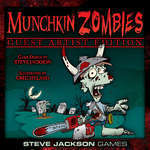 An astute reader may notice that many of our Munchkin Guest Artist series collaborators also contribute to Munchkin comics from BOOM! Studios. (Maybe because we constantly point it out.) We point it out because it's exciting to see these talented artists' work in both the games and comics, and we don't want anyone to miss out! 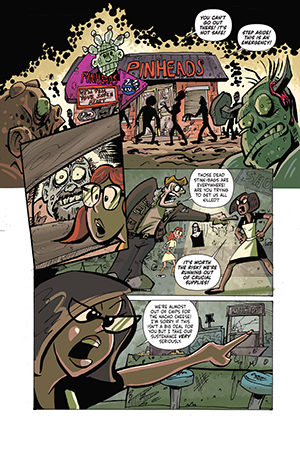 Not only is the art amazing, but it also highlights the broad range of the artists, and lets some of them expand on the worlds they already dipped their toes into in the Guest Artist series. 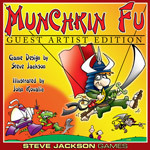 On the flip side, "Munch-Fu: The Legend Continues" is Ian McGinty's take on the world of Munchkin Fu. 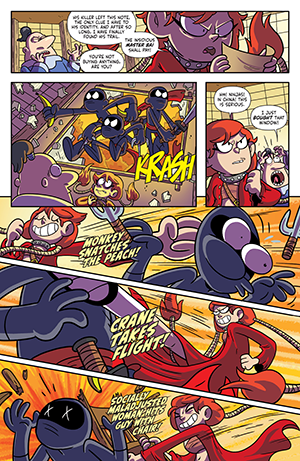 Ian was the artist for Munchkin Guest Artist Edition (and Munchkin Knights, to boot), so he has a completely fresh take on Munchkin Fu. And to add even more intrigue, the original Munchkin Fu artist was none other than Greg Hyland! I smell a conspiracy. So if you're a fan of the Munchkin Fu-niverse, like John Kovalic's Munchkin Fu Guest Artist Edition, this is a side-splitting story about Flower's journey for revenge. 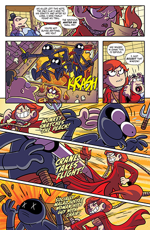 If you haven't yet, check out the Munchkin comic series – the next issue is hitting shelves soon. Make sure you visit your friendly local game store and pick up the limited print games from our Guest Artist series while you're at it! They won't be around forever.